We provide a better way of life through Chiropractic. 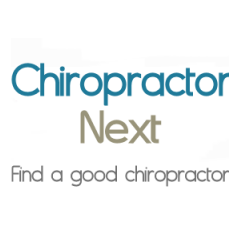 Dale F Smith, D.C., is a chiropractor located in Memphis, TN. Take the next step and contact Dr. Dale F Smith, D.C., for a consultation in Memphis, TN or to get more information. Gilbert Carney, D.C., is a chiropractor located in Memphis, TN. Techniques: • Pettibon • Activator Methods • Cox • Flexion-Distraction Take the next step and contact Dr. Gilbert Carney, D.C., for a consultation in Memphis, TN or to get more information. Kurt A Price, D.C., is a chiropractor located in Memphis, TN. Techniques: • Diversified • Gonstead • Thompson • Palmer Package • Activator Methods • Toggle Recoil Take the next step and contact Dr. Kurt A Price, D.C., for a consultation in Memphis, TN or to get more information. Tonya Selph, D.C., is a chiropractor located in Memphis, TN. Take the next step and contact Dr. Tonya Selph, D.C., for a consultation in Memphis, TN or to get more information. Richard B Wyse, D.C., is a chiropractor located in Memphis, TN. Techniques: • Activator Methods • Grostic Take the next step and contact Dr. Richard B Wyse, D.C., for a consultation in Memphis, TN or to get more information. David J Kellenberger, D.C., is a chiropractor located in Memphis, TN. Techniques: • Palmer Package • Diversified • Gonstead • Thompson • Cox Take the next step and contact Dr. David J Kellenberger, D.C., for a consultation in Memphis, TN or to get more information. Stephen Brandenburg, D.C., is a chiropractor located in Memphis, TN. Take the next step and contact Dr. Stephen Brandenburg, D.C., for a consultation in Memphis, TN or to get more information. Bradford J Cole, D.C., is a chiropractor located in Memphis, TN. Techniques: • Diversified • Activator Methods • Flexion-Distraction • Thompson • Active Release Technique • Motion Analysis (Palpation) Take the next step and contact Dr. Bradford J Cole, D.C., for a consultation in Memphis, TN or to get more information. Alan A Arstikaitis, D.C., is a chiropractor located in Memphis, TN. Techniques: • Diversified • Thompson • Gonstead • Activator Methods Take the next step and contact Dr. Alan A Arstikaitis, D.C., for a consultation in Memphis, TN or to get more information. R Alan James, D.C., is a chiropractor located in Memphis, TN. Techniques: • Gonstead • Thompson • Diversified • Toggle Recoil Take the next step and contact Dr. R Alan James, D.C., for a consultation in Memphis, TN or to get more information. Warren Cassriel, D.C., is a chiropractor located in Memphis, TN. Take the next step and contact Dr. Warren Cassriel, D.C., for a consultation in Memphis, TN or to get more information. Dwayne Curle, D.C., is a chiropractor located in Memphis, TN. Techniques: • Palmer Package • Gonstead • Activator Methods • Diversified Take the next step and contact Dr. Dwayne Curle, D.C., for a consultation in Memphis, TN or to get more information. Jeff L Kantola, D.C., is a chiropractor located in Memphis, TN. Techniques: • Diversified • Activator Methods • Gonstead • Sacro Occipital Technique Take the next step and contact Dr. Jeff L Kantola, D.C., for a consultation in Memphis, TN or to get more information. Stephen Brandenburg, D.C., is a chiropractor located in Memphis, TN. Techniques: • Cox • Diversified • Sacro Occipital Technique • Activator Methods • Soft Tissue Orthopedics Take the next step and contact Dr. Stephen Brandenburg, D.C., for a consultation in Memphis, TN or to get more information. John P Stacks Jr, D.C.
John P Stacks Jr, D.C., is a chiropractor located in Memphis, TN. Techniques: • Activator Methods • Cox • Diversified • Manual Adjusting • Nimmo • Palmer Package • Thompson • Trigger Point Ther. Take the next step and contact Dr. John P Stacks Jr, D.C., for a consultation in Memphis, TN or to get more information. Richard L Cole, D.C., is a chiropractor located in Memphis, TN. Techniques: • Gonstead • Thompson • Diversified • Toggle Recoil • Activator Methods Take the next step and contact Dr. Richard L Cole, D.C., for a consultation in Memphis, TN or to get more information. Jeff D Luebbe, D.C., is a chiropractor located in Memphis, TN. Techniques: • Diversified • Thompson • Activator Methods • Gonstead Take the next step and contact Dr. Jeff D Luebbe, D.C., for a consultation in Memphis, TN or to get more information. Larry Cole, D.C., is a chiropractor located in Memphis, TN. Techniques: • Diversified • Gonstead • Thompson Take the next step and contact Dr. Larry Cole, D.C., for a consultation in Memphis, TN or to get more information. Russell D Radican, D.C., is a chiropractor located in Memphis, TN. Techniques: • Diversified • Gonstead • Thompson • Activator Methods • Trigger Point Therapy • Spinal Decompression • Rehabilitation Take the next step and contact Dr. Russell D Radican, D.C., for a consultation in Memphis, TN or to get more information. Craig Gangwish, D.C., is a chiropractor located in Memphis, TN. Techniques: • Gonstead • Diversified • Thompson • Activator Methods • Nimmo Take the next step and contact Dr. Craig Gangwish, D.C., for a consultation in Memphis, TN or to get more information. Ben Kemker, D.C., is a chiropractor located in Memphis, TN. Take the next step and contact Dr. Ben Kemker, D.C., for a consultation in Memphis, TN or to get more information. Michael E Bast, D.C., is a chiropractor located in Memphis, TN. Techniques: • Diversified • Gonstead • Activator Methods • Thompson Take the next step and contact Dr. Michael E Bast, D.C., for a consultation in Memphis, TN or to get more information. Mark E Holliman, D.C., is a chiropractor located in Memphis, TN. Techniques: • Manual Adjusting • Cervical Drop Headpiece • Diversified • Neuro Muscular Technique • Cox • Logan Basic • B.E.S.T. Take the next step and contact Dr. Mark E Holliman, D.C., for a consultation in Memphis, TN or to get more information. Gregory Anderson, D.C., is a chiropractor located in Memphis, TN. Take the next step and contact Dr. Gregory Anderson, D.C., for a consultation in Memphis, TN or to get more information. Michael C Holliman DC, D.C.
Lowell P Yarbrough, D.C., is a chiropractor located in Memphis, TN. Techniques: • Diversified • Activator Methods • Cox • Logan Basic • Thompson • Trigger Point Therapy Take the next step and contact Dr. Lowell P Yarbrough, D.C., for a consultation in Memphis, TN or to get more information. James E Hurst, D.C., is a chiropractor located in Memphis, TN. Take the next step and contact Dr. James E Hurst, D.C., for a consultation in Memphis, TN or to get more information. Reed Johnson, D.C., is a chiropractor located in Memphis, TN. Techniques: • Gonstead Take the next step and contact Dr. Reed Johnson, D.C., for a consultation in Memphis, TN or to get more information. Allen Goode, D.C., is a chiropractor located in Memphis, TN. Techniques: • Gonstead • Diversified • Thompson • Chiropractic Biophysics Take the next step and contact Dr. Allen Goode, D.C., for a consultation in Memphis, TN or to get more information. Maurice Tucker, D.C., is a chiropractor located in Memphis, TN. Techniques: • Spinal Biophysics • Pierce • Body Restoration Technique • Toftness • Terminal Point • Hole in One Take the next step and contact Dr. Maurice Tucker, D.C., for a consultation in Memphis, TN or to get more information. Richard L Wyse, D.C., is a chiropractor located in Memphis, TN. Take the next step and contact Dr. Richard L Wyse, D.C., for a consultation in Memphis, TN or to get more information. Brian Spiecha, D.C., is a chiropractor located in Memphis, TN. Take the next step and contact Dr. Brian Spiecha, D.C., for a consultation in Memphis, TN or to get more information. Lucas J Cole, D.C., is a chiropractor located in Memphis, TN. Techniques: • Diversified • Thompson • Logan Basic • Trigger Point Therapy Take the next step and contact Dr. Lucas J Cole, D.C., for a consultation in Memphis, TN or to get more information. William Cromer, D.C., is a chiropractor located in Memphis, TN. Take the next step and contact Dr. William Cromer, D.C., for a consultation in Memphis, TN or to get more information. Rebecca Doss, D.C., is a chiropractor located in Memphis, TN. Techniques: • Activator Methods • Atlas Orthogonal Take the next step and contact Dr. Rebecca Doss, D.C., for a consultation in Memphis, TN or to get more information. Warrell J Swan, D.C., is a chiropractor located in Memphis, TN. Techniques: • Diversified • Gonstead • Thompson • Toggle Recoil • Palmer Package • Activator Methods • neurology Take the next step and contact Dr. Warrell J Swan, D.C., for a consultation in Memphis, TN or to get more information. Dana M Whyatt, D.C., is a chiropractor located in Memphis, TN. Techniques: • Diversified Take the next step and contact Dr. Dana M Whyatt, D.C., for a consultation in Memphis, TN or to get more information. Erskine A Williams, D.C., is a chiropractor located in Memphis, TN. Techniques: • Diversified • Thompson • Cox • Activator Methods • Cervical Drop Headpiece Take the next step and contact Dr. Erskine A Williams, D.C., for a consultation in Memphis, TN or to get more information. Richard J. Amodeo, D.C., is a chiropractor located in Memphis, TN. Techniques: • Gonstead • Activator Methods • Manual Adjusting • Diversified • Thompson • Pierce Take the next step and contact Dr. Richard J. Amodeo, D.C., for a consultation in Memphis, TN or to get more information. Elbert T Gill Jr, D.C.
Elbert T Gill Jr, D.C., is a chiropractor located in Memphis, TN. Take the next step and contact Dr. Elbert T Gill Jr, D.C., for a consultation in Memphis, TN or to get more information. Donna J Johnson, D.C., is a chiropractor located in Memphis, TN. Techniques: • Gonstead Take the next step and contact Dr. Donna J Johnson, D.C., for a consultation in Memphis, TN or to get more information. Thomas R Gill, D.C., is a chiropractor located in Memphis, TN. Take the next step and contact Dr. Thomas R Gill, D.C., for a consultation in Memphis, TN or to get more information.